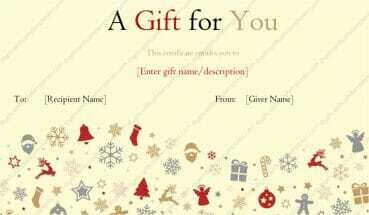 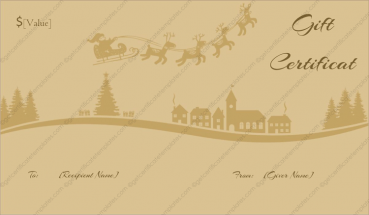 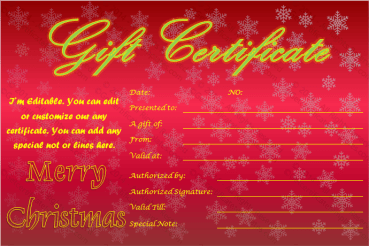 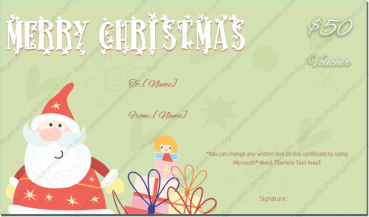 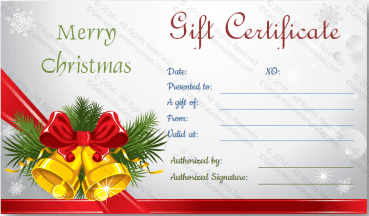 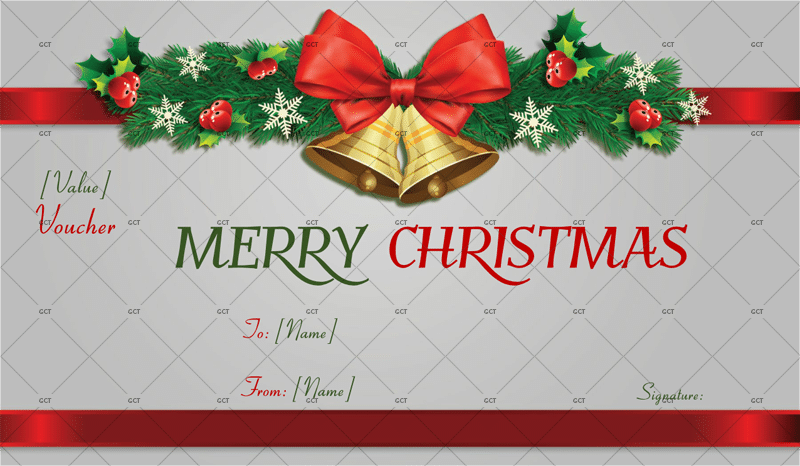 This Christmas gift certificate template will really put someone in the holiday spirit. 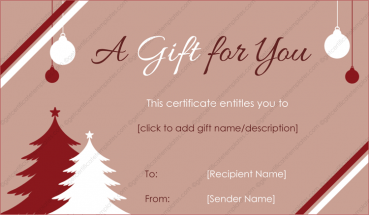 For the most part, it is a rather simple design consisting of a grey background with shimmering red ribbing border running the top and bottom of the template. 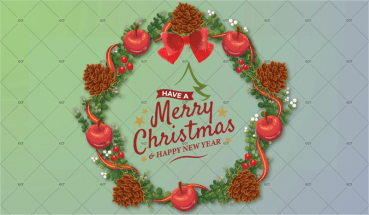 The bright red and green words of ‘Merry Christmas’ stamped in bod festive lettering underneath a green, ornament decorated garland will bring a smile to your face. 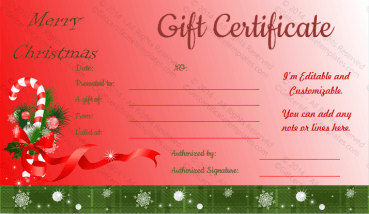 This Christmas gift certificate can be used as a quick but effective way to grant a gift to someone that you truly care about if you’re doing some last-minute gift giving. 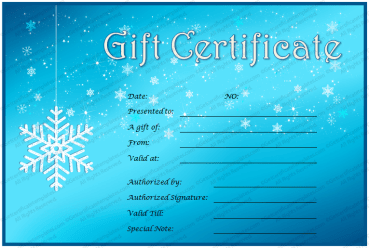 All you have to do is simply write an amount as to how much the certificate is worth where the word voucher is located, fill out who the certificate is to and from and sign off on it to gift it to that special someone this holiday season.